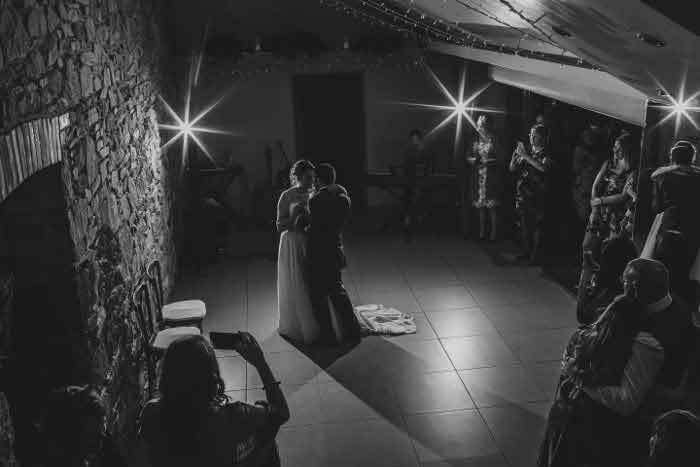 The power to give back is a wonderful thing, especially when you’re fortunate enough to have found your happily ever after. 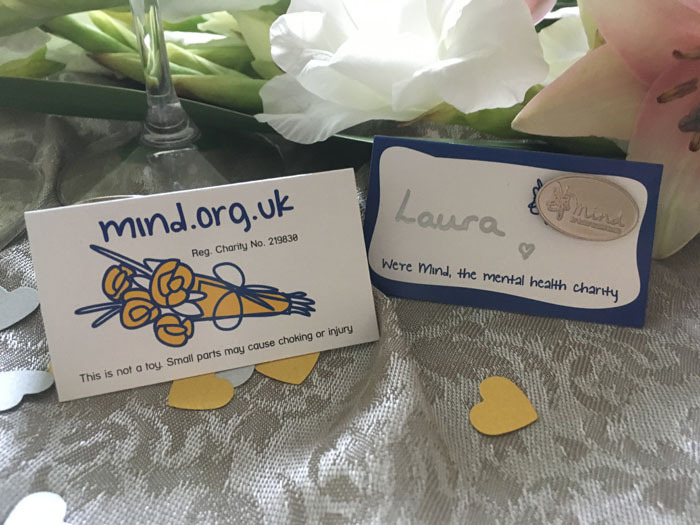 Charity wedding favours are a beautiful way to show your support and donate generously to a cause close to your heart, while giving your guests a meaningful keepsake of your special day. Simply sign up to your charity of choice and receive small gifts or place cards that explain the donation. 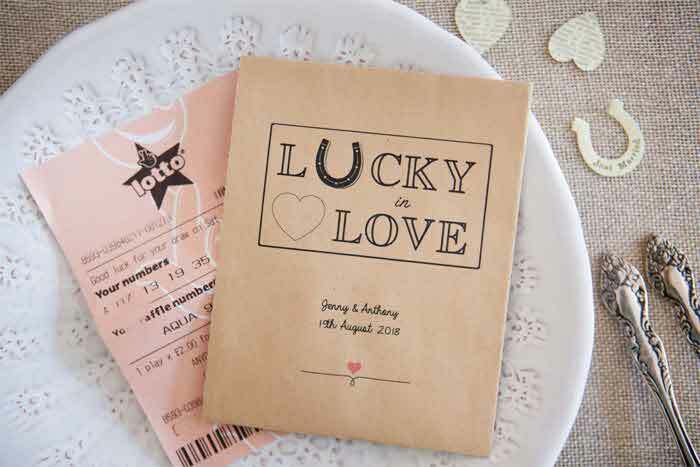 Many larger organisations offer wedding favours – most from as little as £1 per favour, but you can also contact local charities directly about how they can be a part of your big day. 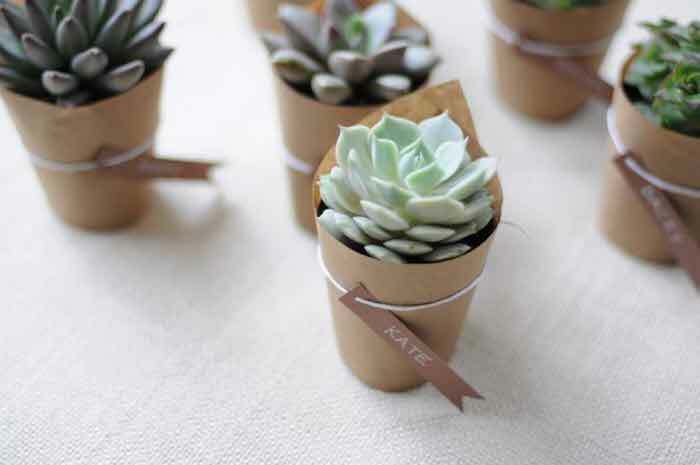 Take a look at these charitable wedding favour ideas and realise the difference each can make. Every two seconds a girl as young 14 is forced to marry against her wishes. 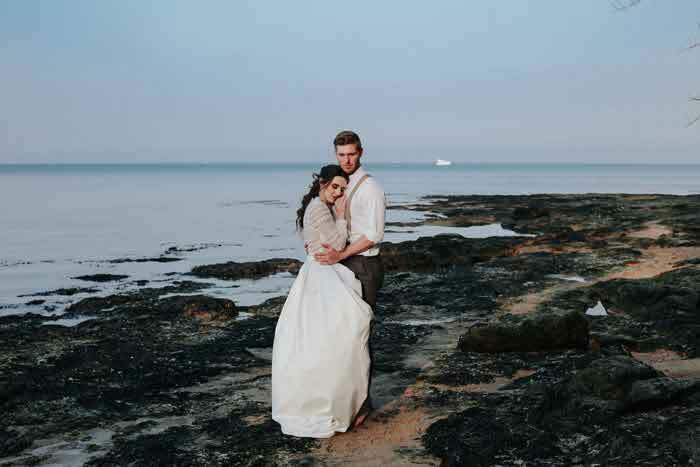 By ordering a unique wedding favour from global girls’ rights charity Plan International UK, you can help them work to end child marriage across Africa, Asia and America. 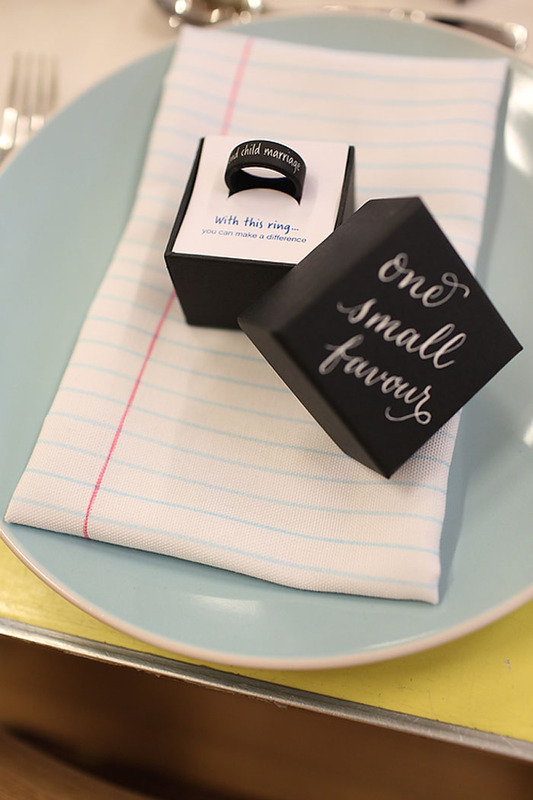 Each ring is inscribed with the words ‘end child marriage’ and comes in a choice of three box colours, which you can personalise to suit your wedding. Suggested donation is £2 per ring. Wear it. Share it. End it. Providing 100% free cleft surgery and comprehensive cleft care to children in more than 85 developing countries, Smile Train is an international children’s charity. 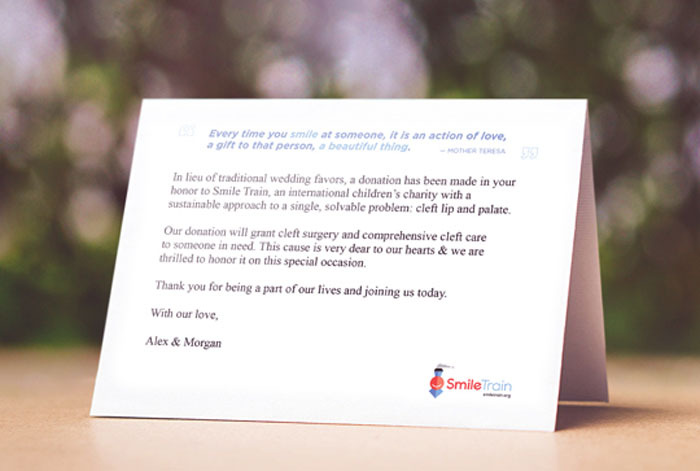 As well as offering the chance for couples to ask for gift donations of their guests, Smile Train provides wedding favours which are available for instant download and can be personalised with different messages and designs. 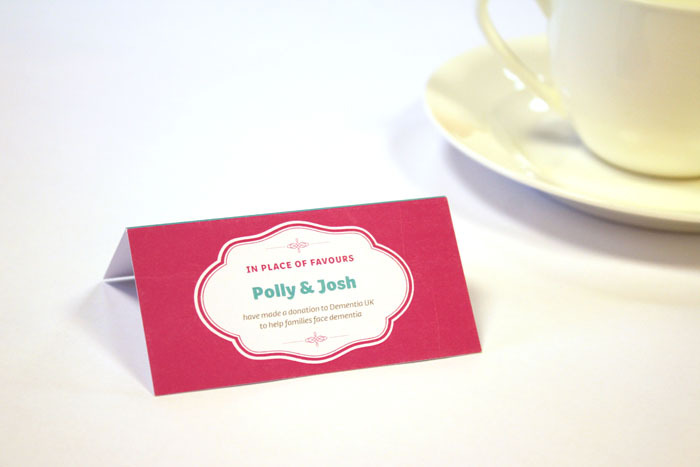 New for 2018, Macmillan Cancer Support’s range of wedding favours comprise pin badges and place cards in a host of designs to suit every taste. 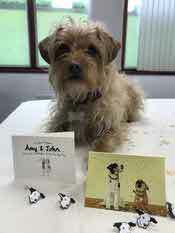 Each favour includes information about Macmillan, the website address and support line number. 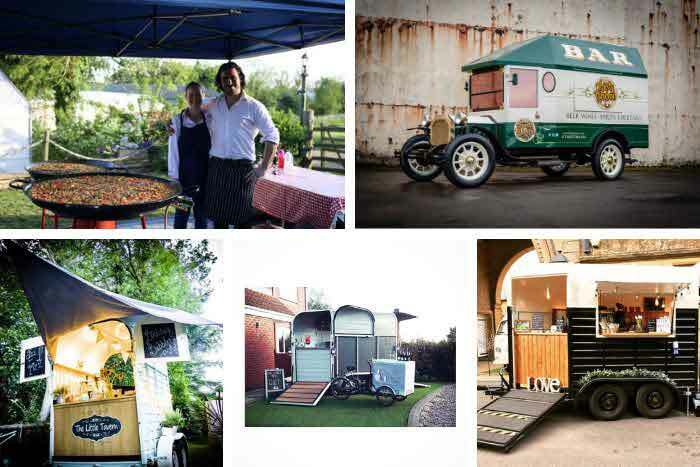 All money raised will help Macmillan continue to provide emotional, financial, medical and practical support. 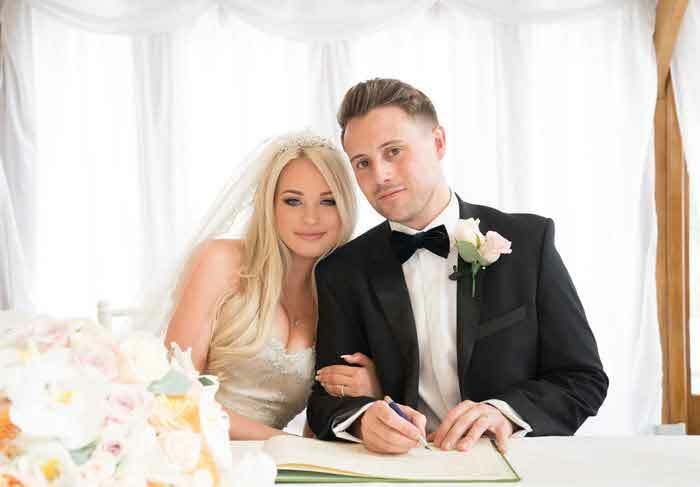 Do something amazing at your wedding and help the NSPCC fight for every childhood. 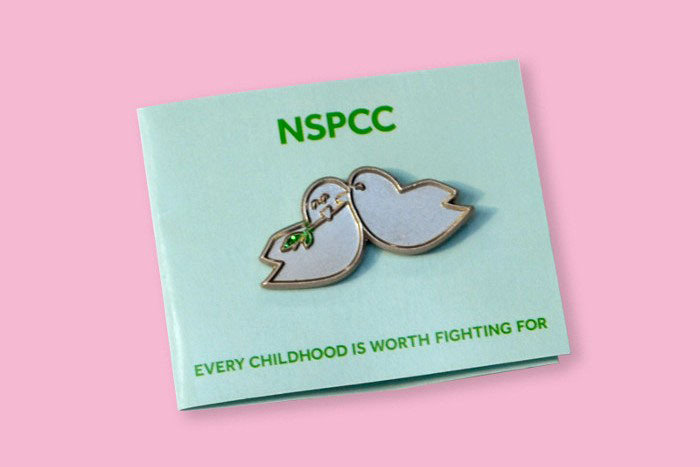 Making a big difference to the lives of vulnerable children, the NSPCC’s range of wedding favours say ‘thank you’ and pledge support in the most bold, bright and beautiful of ways. Dog lover? Go one step further to personalise your day by choosing to make a donation to Dogs Trust. 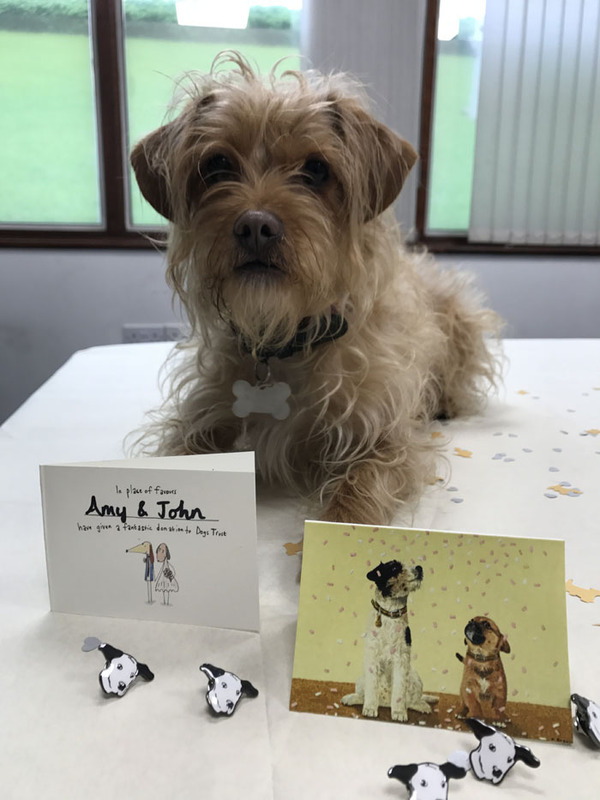 Guests can take away Dogs Trust lapel pins and exclusively designed doggy bride and groom cards, knowing that their attendance helped to provide bedding, toys, medical treatment and training for the dogs in the charity's care until the trust finds their forever home. 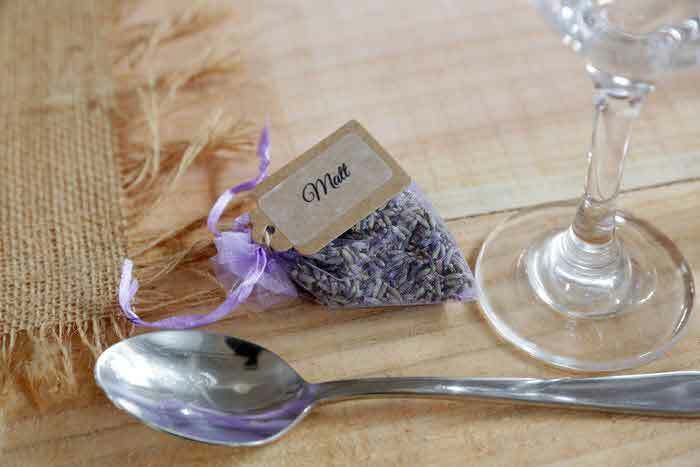 These Bluebell Wood Wedding Favours are just £1 each, plus a small administration fee of £10 for up to 100 favours, £20 for 100-200 or £30 for 200+. 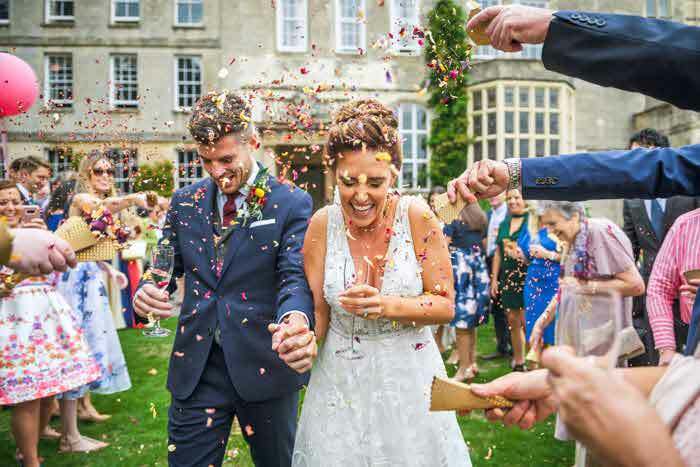 Not only will couples support children and young adults with life-shortening and life-threatening conditions, the favours also act as lottery tickets giving guests the chance to win a £1,000 prize in the charity's weekly lottery. 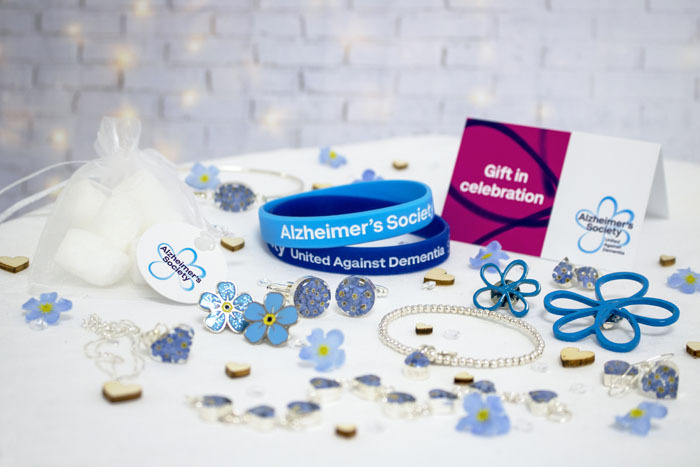 Alzheimer’s Society offers bright blue forget-me-not flower logo pin badges and brooches as well as a more traditional sparkly flower badge as favours. 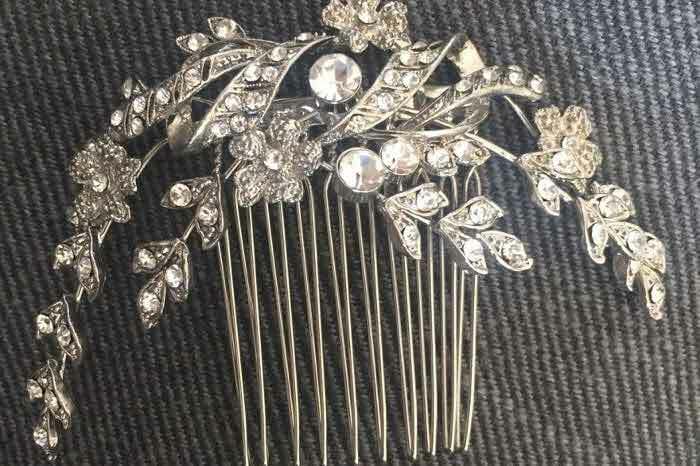 Alzheimer’s Society’s range also includes elegant organza bags, table cards and a beautiful collection of sterling silver jewellery made with real forget-me-not flowers set in resin. All profits help support Alzheimer’s Society’s aim to challenge perceptions, fund research and improve care and support. 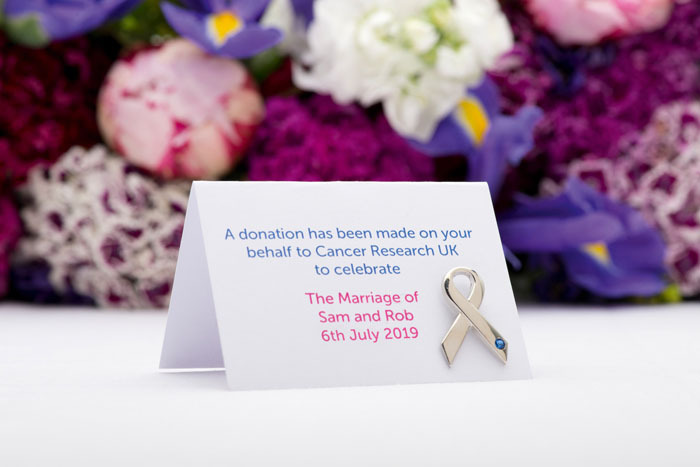 Cancer Research UK’s range of wedding favours features several options, including specially designed badges by Alex Monroe and Suzanne Neville and thoughtful gifts like sunflower pots and forget-me-not seeds. 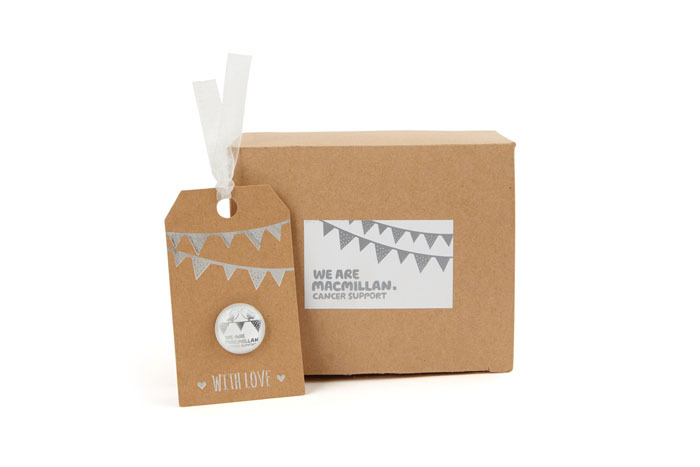 All proceeds go towards the charity’s life-saving work, so as well as making a lovely gift the favours are a touching way to celebrate a friend or family member surviving cancer, or to remember someone close to you. 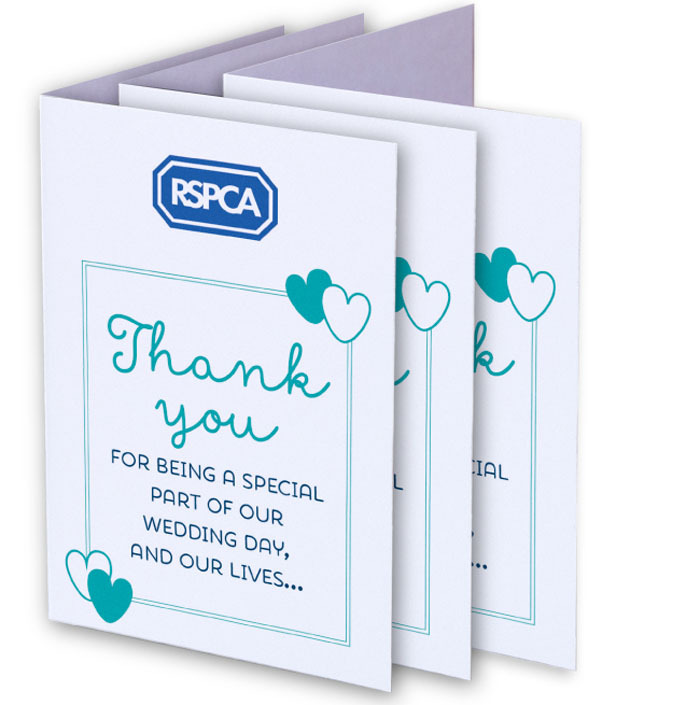 The RSPCA wedding favour cards come in packs of 10 for £10. 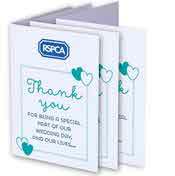 By donating to the RSPCA, couples can help the charity to continue rescuing, rehabilitating and rehoming animals in desperate need of care. 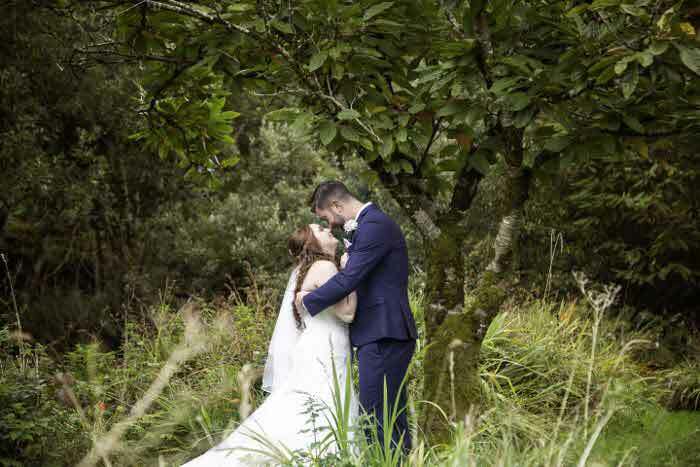 This is the perfect alternative for animal lovers who want their special day to have a special impact on animals who have suffered from cruelty and neglect and are now looking for their second chance at happiness. 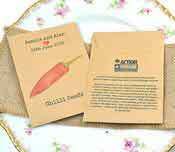 Wildflower Favours supplies recycled seed packet favours containing British-grown wildflower seeds. 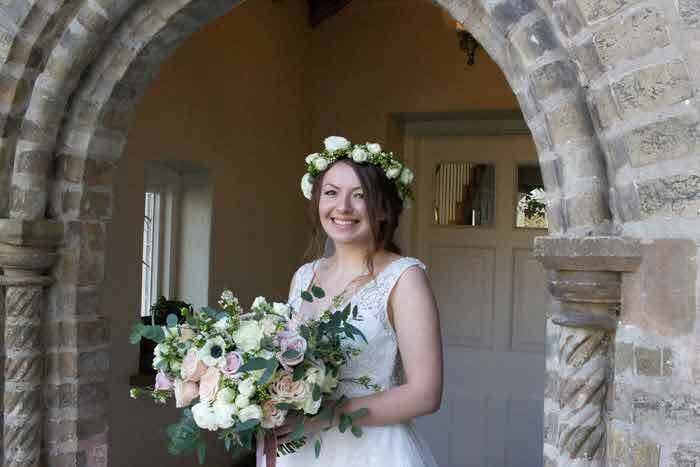 Wildflower Favours’ emphasis is on the environment and helping the nation’s butterflies and bees, as well as giving the bride and groom lovely products to choose from. Supporting a number of environmental charities such as Action Against Hunger and Tree Aid, the seed packets offer a donation to a chosen charity from each packet sold. 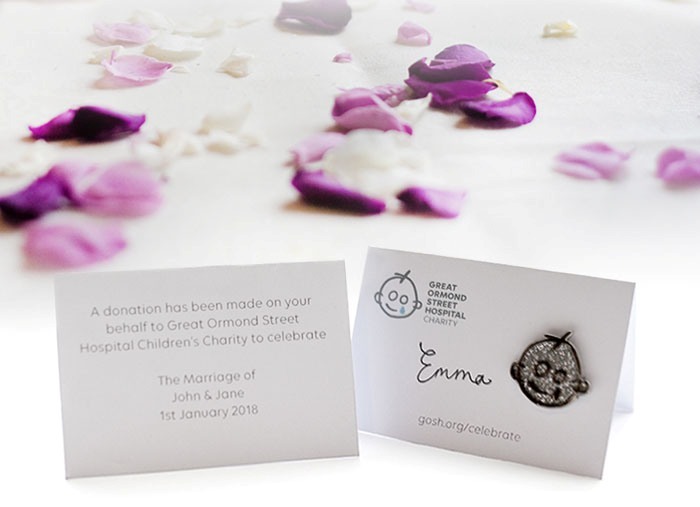 Great Ormond Street Hospital Children’s Charity presents a range of wedding favours; you can choose from a host of sparkly GOSH pin badges, a GOSH charm bead, or wildflower seed sticks which grow into a beautiful memento for guests to treasure. 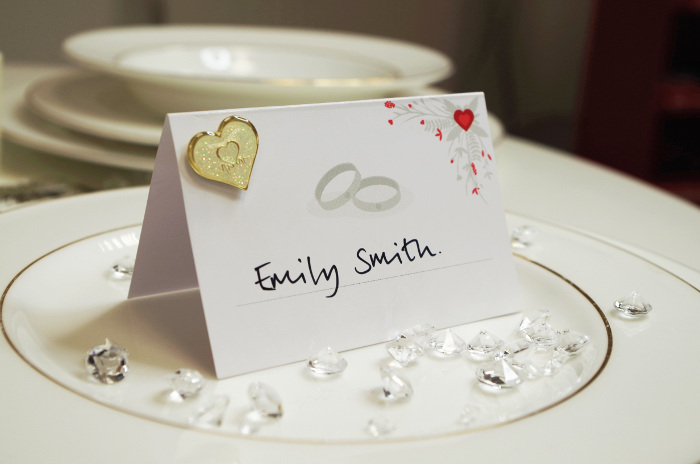 Each wedding favour card can be personalised, and features a thank you message to your guests. Prices start from just £2, and funds raised will make a vital difference to seriously ill children cared for at Great Ormond Street Hospital. 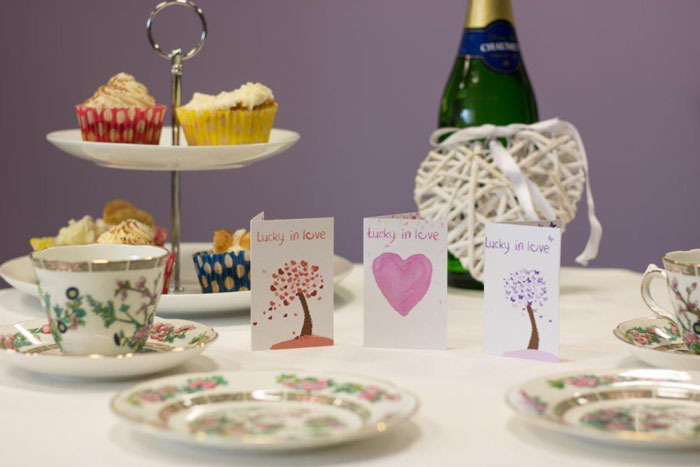 From beautiful place card settings to sparkly heart pin badges and romantic bubbles, the British Heart Foundation's favours offer a stylish touch. 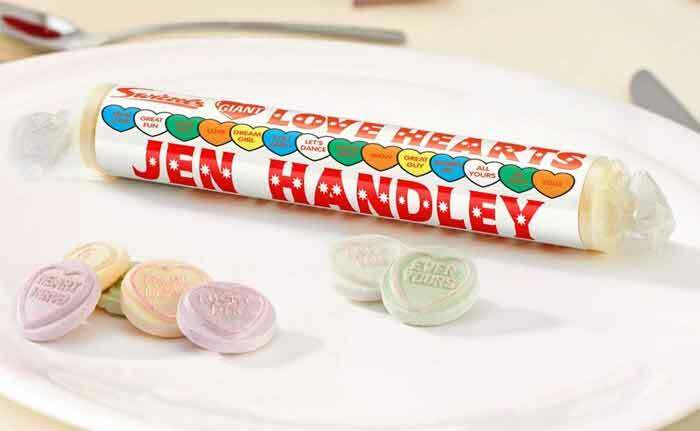 Take a look at the charity's range and help the BHF raise vital funds for research into one of the UK’s biggest killers – coronary heart disease. Every hour, two people in the UK are told they have Parkinson’s. Donate to Parkinson's UK and contribute to the support and research provided by the charity. 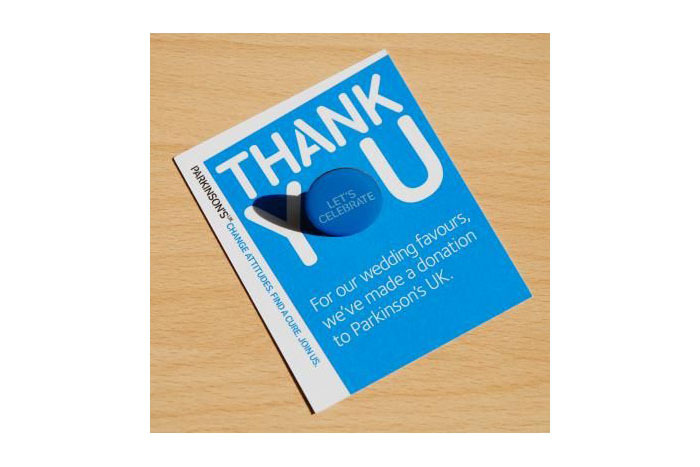 Sold in packs of 10 for £10, these circular pin badges feature the slogan 'Let’s Celebrate' which attaches to the informative backing card and forms part of the 'Thank you' message.